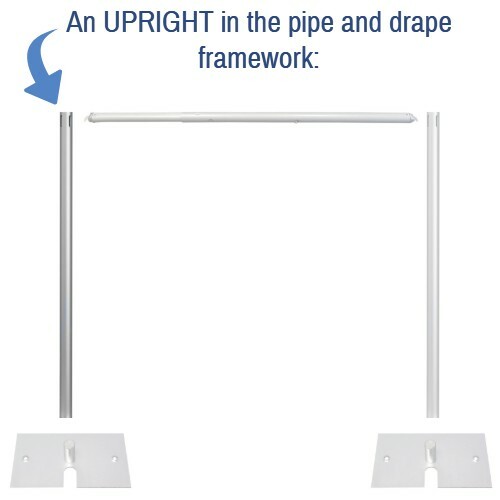 Adjustable to any height between 7 feet tall and 12 feet tall (84 inches to 144 inches). Features a sleek Black finish for a discreet and elegant look! 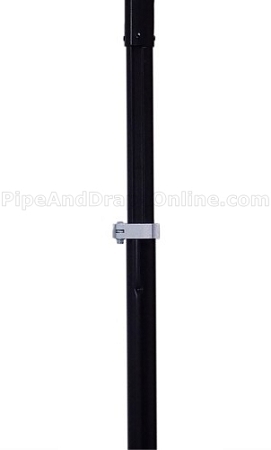 Button stop allows the height to quickly be set at any foot interval (8 feet, 9 feet, 10 feet, 11 feet, and 12 feet tall). Locking Clamp lets you set an "in between" height that isn't at an even foot interval (for example, 11 feet 7 inches tall). NOTE: The clamp is only available in a silver color. Please keep this in mind if you are not always using this item at an even foot interval (and using the clamp). 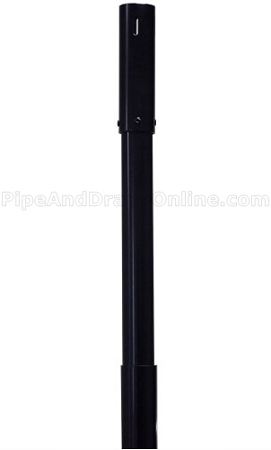 2 inch diameter black aluminum pipe means less weight and easy set-up.